It's time for another sketch challenge. 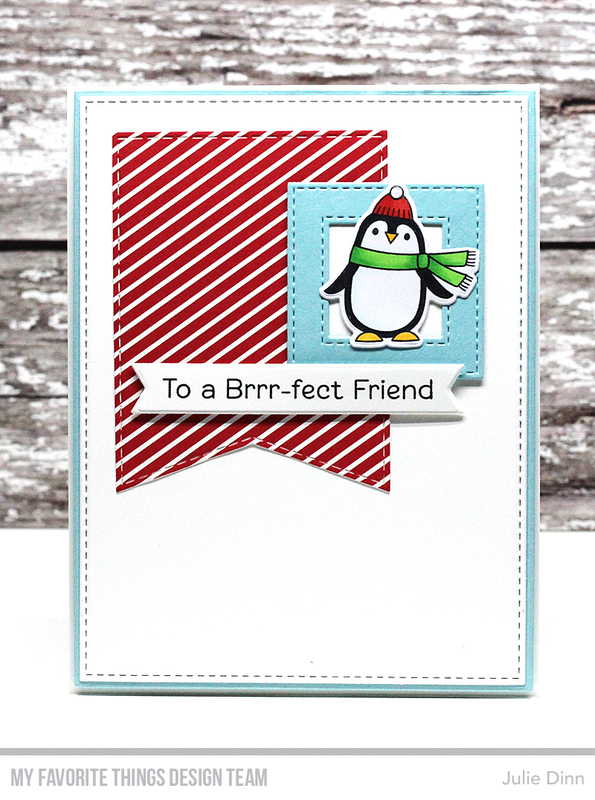 As soon as I saw this sketch, I knew this little penguin from the Polar Pals stamp set for it. I stamped the image on a piece of X-Press It card stock and I coloured the image with Copics.